You might well have a dazzling About Us page. You may also have an array of sensational products and produce the kind of blog content that draws people to your website. But as an online retailer, if your product pages are either poorly structured, missing information or generally uninspiring, you can kiss goodbye to those all-important conversions. 87% of today’s digital shoppers rate product page content as extremely important when making a buying decision. Moreover, a recent definitive consumer study shows that product content is essential regardless of product category or industry, with pricing, item specifics and reviews being the three most important pieces of information that shoppers need to influence their buying decision. Product pages are important and if you get them right, you will see a noticeable increase in your profits. Fundamentally, your product pages should build consumer confidence by providing all the information necessary for a purchasing decision, making the entire process as easy to navigate and straightforward as possible. While this may seem easier said than done, we’ve produced a helpful guide that includes all of the key ingredients to help you on your path to product page enlightenment, influence your site visitors and boost your bottom line. As the saying goes: a picture speaks a thousand words. While this may be something of a cliche, it’s completely true, nonetheless. In today’s age especially, people do indeed judge a book by its cover, with the average consumer forming a first impression in a miniscule 50 milliseconds. Offer your consumers a zoom or carousel function so that they can explore your products in greater detail. Include two to four product images from different angles to give potential shoppers more scope into the products you are selling. If your product has variants (different materials, colors, etc. ), include an image to represent each – not only is this an excellent UX enhancer, but again, it will give your site visitors a better insight into what they are potentially buying. Content that contains images earns around 650% higher engagement than text-only content, so make sure you add inspirational imagery to all of your product pages. When it comes to speaking to your prospects persuasively, it’s important to write copy that is friendly, aspirational and easy to digest. In other words, you have to write in a human tone. While your product copy should include all of your key details such as dimensions, sizing, materials and functionality, and bullet points are an effective means of displaying functional information, your descriptions don’t have to be as dull as dishwater. To strike a nerve with your prospects, you should consider how your product or service can help make your users’ lives more fun, enjoyable, or efficient – and use this as the foundations of your product descriptions. Here, not only does MOO weave every one of their USPs into a single block of copy, instantly showcasing the unique value of their products, but the brand’s warm, friendly, fun and conversational voice inspires you to click through and find out more. A fast-growing print-based business, it’s content like this that has helped accelerate MOO’s ongoing success. An inspirational example of product content if ever we saw one. To help you direct your product copy, explore our guide to creating effective buyer personas for your business. When we say sticky branding, we mean the kind of product page branding that sticks or lingers in the mind long after visiting a website. To ensure your branding is sticky, you must look beyond your imagery, tagline and logo (although you must include these elements in all of your product pages), and consider how you’re going to work your brand’s mission, style, ideals and value proposition into every page on your site. With this in mind, when you’re creating your product pages, you should make sure that every single one follows a particular style that is unique to your business, from the tone of voice in your copy to the way in which your imagery or graphics are produced right through to snippets of inspirational information about your brand and its mission. For unmistakable examples of superior product branding, explore the product pages of health food provider Daily Harvest and UK-based pomade purveyor, Fish Soho. As today’s consumers value the opinions of their peers far more than traditional advertising, featuring genuine social proof on your product pages will give your offerings validation while building consumer trust – which in today’s digital world is everything. Customer reviews, images from social media, and real-world testimonials are a priceless way to build consumer trust and encourage buying behavior. 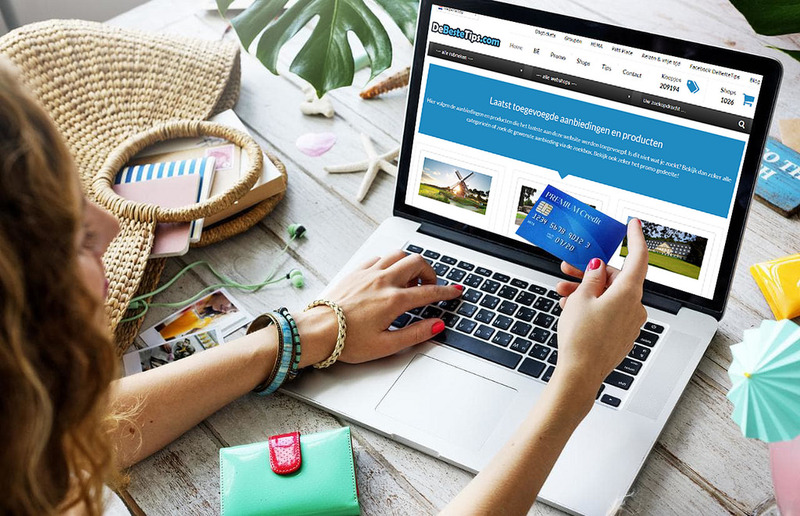 For budding eCommerce businesses, in particular, social proof gives site visitors a multitude of reasons to believe in your product descriptions, adding an extra dimension of trust to the customer experience. 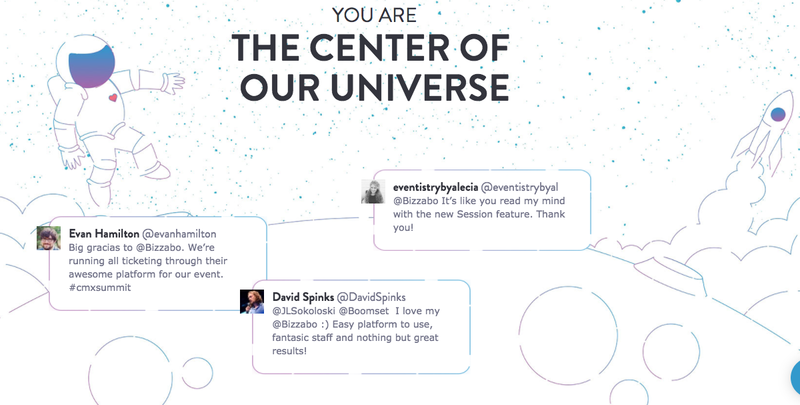 This site page from event planning retailer, Bizzabo, is an excellent example of real-life customer testimonials, or social proof, presented in an eye-catching, digestible format that showcases the brand’s value at a simple glance, sourcing mentions direct from its Twitter feed. As a result of marketing initiatives like this, the company has just exceeded the $100 million mark in paid registrations, a significant milestone for any growing eCommerce business. This is an often overlooked but incredibly valuable product page enhancing technique: you should always make sure that you optimize the URL descriptions of your product pages. Well, because featuring the product name alongside the category in your page’s URL is the simplest way to attract targeted traffic, as search engines take URL structure into account when ranking content, so your product page will look more relevant when you include keywords for the product name. Plus, when consumers are visiting your product page, a tidy, optimized product page URL will appear more attractive. If you’ve drilled down into your branding efforts, taken measures to make your copy more aspirational and informational, included social proof, produced dazzling imagery and optimized your URLs – good for you. However, all of these efforts will become a wasted exercise without adding a clearcut call-to-action (CTA) to your product pages. The primary goal of your product page is to convert a prospect to paying customer, which means that you must make it as easy as possible for your site visitors to do so. Studies suggest that adding CTAs to your Facebook page can boost click-through rate by 285%, and the same notion applies to your product pages. That said, your product page’s CTA should be clean, simple, actionable and stand out on your page with a simple glance. Contrary to popular belief, you shouldn’t try to be too technical or savvy with your product page CTA. To yield real results you should make your copy and functionality glaringly obvious. Something simple like a clickable button that states, “buy me”, “submit order” or “add to cart” will work just fine. Anchor text-based CTAs can increase conversion rates by up to 121%. Orange CTA buttons can boost conversion rates by 32.5%. Personalized CTAs have the power to convert 42% more visitors into leads than untargeted CTAs. Product content is at the core of an excellent customer experience. And as an eCommerce business, your product pages are arguably the lifeblood of your entire operation. By following this guide and taking the time to optimize your product offerings, one page at a time, you will start to see real results, the kind that will help you enjoy sustainable increase in profits for years to come. If you’re looking to streamline your online store and grab the attention of more customers, we can help. Explore our cutting-edge eCommerce solutions and find out how you we can help you grow your online empire.